Select your gift card type and click on the buttons below according to your gift card value and subscription type. Add the product to your cart and enter your gift card voucher code. Once entered, it will deduct your gift card amount and simply checkout! Monthly box of fitness, motivation, and health to achieve all kinds of fitness goals. 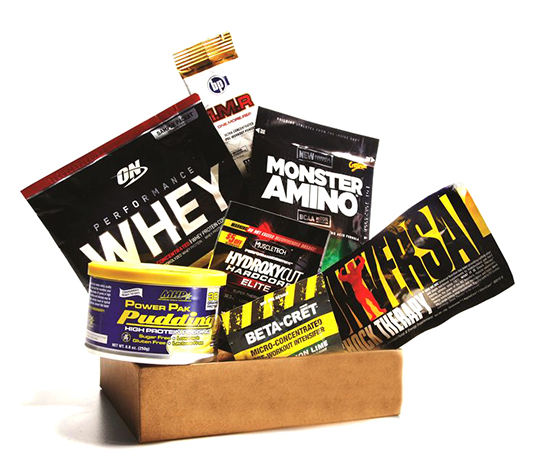 When you sign up for a subscription, you will receive a box of hand-selected supplements from various major brands with all types of flavors to try in order to make you familiar with the product and buy them! 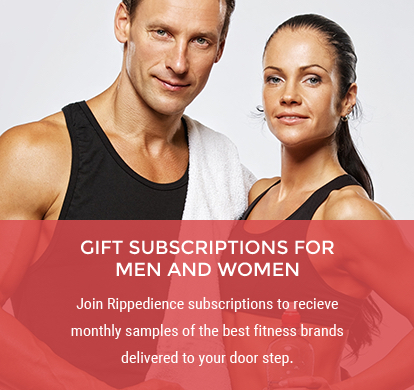 Rippedience will provide you with a monthly box that’ll be packed full of nutritional goodies, specially chosen gym accessory or trial size supplement item, a quality fitness apparel item, meal prep plans for a week with grocery lists, a featured food fact of the month, high protein recipe snack idea with grocery list, and a workout idea to try. Our goal is to motivate and inspire you to get you over any plateau you may have hit in your fitness strides or get you moving in the direction you envision your body transforming to.